• Brigitte Bardot - presented here is a segment from the French documentary Brigitte Bardot telle qu'elle in which the iconic actress recalls her struggle to have a private life in the early '60s, the role that the media played, and how her career evolved after La Verite. There is also a very interesting segment with Bardot's former confidant, Alain Carre, who betrayed her. The documentary was produced in 1982. In French, with optional English subtitles. (20 min, 1080i). • Le Scandale Clouzot - this documentary takes a closer look at the life and legacy of Henri-Georges Clouzot. It was produced by French filmmaker Pierre-Henri Gilbert in 2017. In French, with optional English subtitles. (63 min, 1080p). 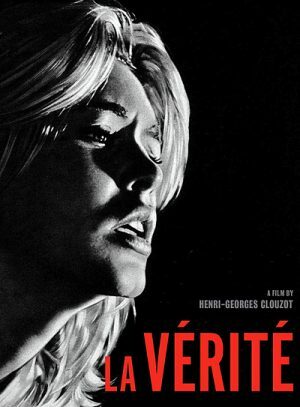 • Henri-Georges Clouzot - presented here is an archival interview with Henri-Georges Clouzot which was broadcast on French television on November 11, 1960. The director quickly addresses the production La Verite. In French, with optional English subtitles. (5 min, 1080p).